Why not have your own personal gold standard? Some people have started doing that already. Brian, in Manchester, UK sold his house and turned all his cash into gold. "I started in 2005 and now I've got £200,000 worth - about half of what I own - in gold. If I kept all my money in the bank, the value of my work would either devalue over the long-term or it would be wiped out." And Frances, who sold her flat in 2008, and investing 40,000 pounds in gold in a vault in Switzerland also stated, "I don't fear a financial Armageddon, but I do fear governments, in their desperate search for wealth, constantly printing more money to deal with the debt that they have at the expense of people like me. So I need to protect against that." Their concern, like many, is that inflation will erode the value of their savings over time and banks, concerned with their own self interest will fail to protect them if the financial crisis deepens. Many people now are converting their assets or fortunes directly to gold. Putting them on a personal gold standard if you like. So Johnny Q public is being encouraged to buy freshly printed ‘QE’ paper money while banks are furiously buying up as much gold as they can possibly lay their hands on. It’s the old story, don’t do as I do, do as I say. But more and more people are wising up and piling assets into gold or silver. More and more people are adopting their OWN personal gold standard. 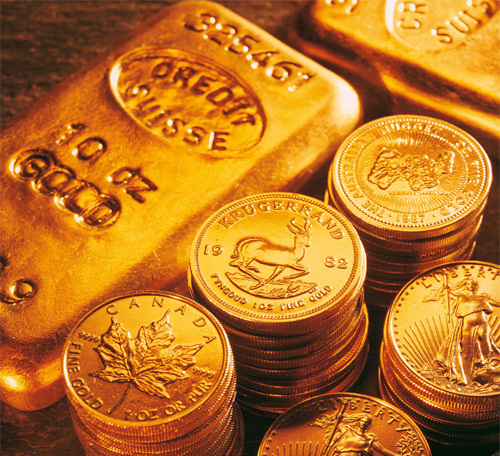 The gold price is currently being held down. Reports are now even surfacing in the mainstream media of gold price manipulation as the price is firmly help down so banks can buy, virtually at cost (Gold mining companies operate on a basis of requiring 1300 minimum per ounce in order to cover costs and need at least 1400 per ounce to make a profit). Meanwhile, back at the ranch, china is buying up as much gold as she can while hoarding all its own gold, none of which is for export. It is expected that within the next five years, China will announce an update of its gold reserves and this is likely to be within the region of 5,000 tons, making it the second largest official owner of gold in the world. This is likely to given them a firmer control over the gold market and all attempts by the West to hold prices down will then prove futile. $5,000 an ounce is, then, entirely probable, if not higher and wealth would instantly transfer from bondholders to gold holders. This will be what the banks are patiently waiting for as they quietly accumulate gold in their coffers. Their reserves will then be 'safe'. It will also be a boon to those who have set up their own personal gold reserve.